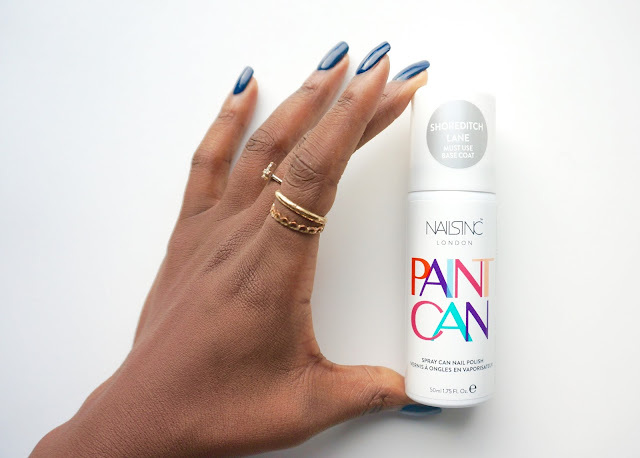 I recently ordered the Nails inc. spray can polish during the Black Friday polish and I have to say that I am super excited about trying it out. It was just unfortunate that it came through after I had applied this week's nail paint on otherwise I would have been sharing blog post with you right about now. With that said, you can look forward to the blog spot showing the results of the spray can polish on the blog very soon and I will be giving my honest feedback on it as well. I do wish Nails Inc. had released the colours in some classic or standard shades like red or black but I suppose the silver will do for now. As I don't wear super bright nail polish shades like I used to, I opted for the silver spray can over the bright barbie pink option. given that we are now halfway through the working week, you can expect to see the results from the spray can very soon.